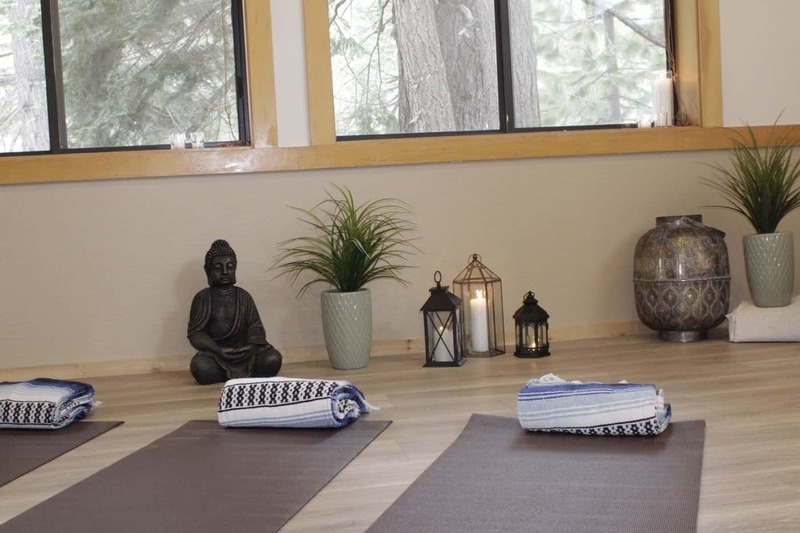 Relax into a heartfelt practice surrounded by the Lake Tahoe pines. It's been a great winter for us here at Granlibakken Tahoe, but it hasn't been easy. Our staff has had all hands on deck doing snow removal and working to ensure that our property is safe for our visitors. Although winter seems to be holding on here in Lake Tahoe (more snow predicted on Thursday! ), we are working hard to complete the Soul Shelter, a meditation and relaxation space located in the heart of Granlibakken property. 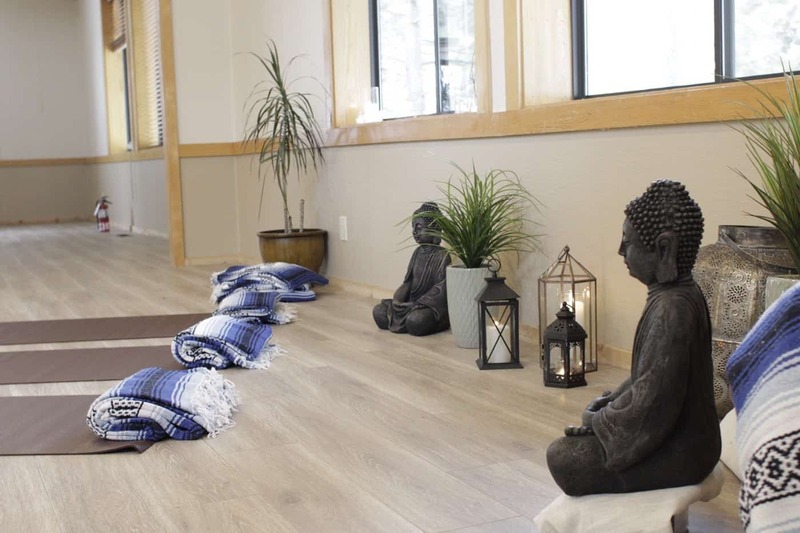 We conceived the idea of the Soul Shelter after hearing from many of our guests and retreat attendees that they would really appreciate a space to meditate and relax while attending a retreat or vacationing in Tahoe. 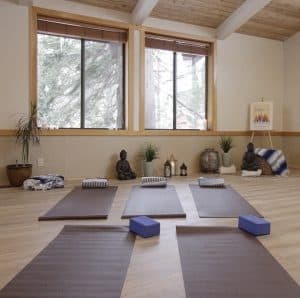 We listened, and thought that a meditation space would fit in really well with our existing location, nestled in a peaceful wooded valley just steps from Lake Tahoe. 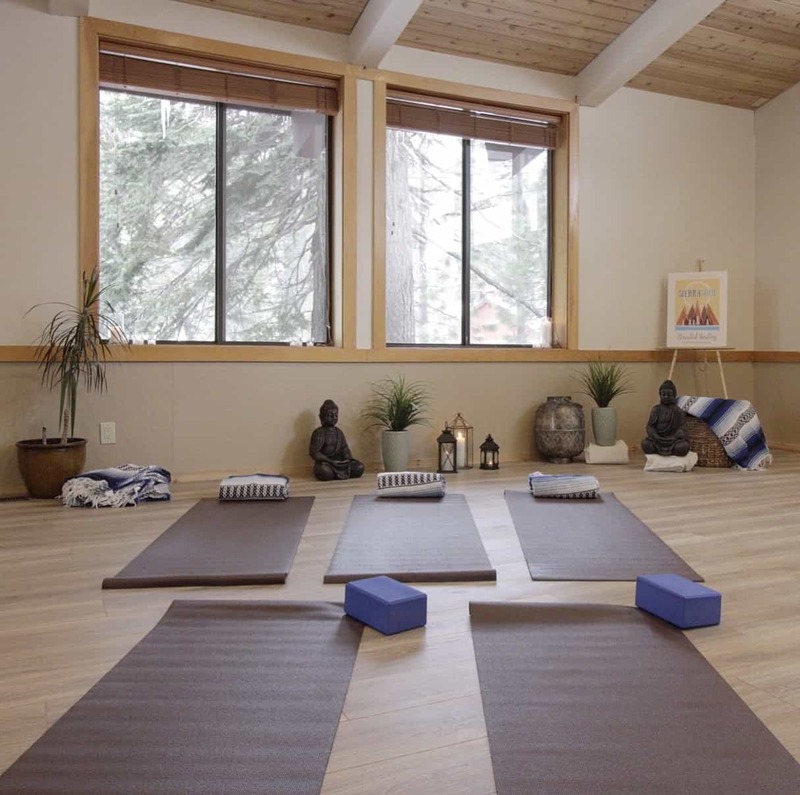 The Soul Shelter will be open to all guests come this summer, and will provide a space to reconnect, unplug, and relax whilst visiting beautiful Lake Tahoe. Earlier this winter, Granlibakken worked on refinishing the interior of the room, outfitting it with new flooring and repainting it with neutral colors. It's amazing to see what just a new coat of paint can do for a room! 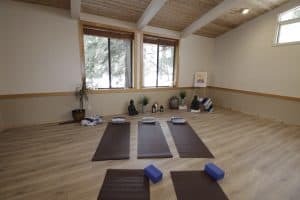 We just got some decor and props in for the new yoga room, and are looking forward to decking it out to really give the space a warm and inviting feel. Yoga mats, blocks, and blankets will be available to guests, and we got some greenery, baskets, and cubbies for shoes as well. The room is really coming together as the space that we envisioned when we first embarked on this project. We look forward to sharing this special space with you, and we hope that you check it out once it is finished! Learn more about the Soul Shelter. Learn more about Wellness at Granlibakken, and check out our conference and retreat packages. Keep in touch! Sign up for our email list, and be the first to know about deals, events, and more! This entry was posted in Conference, Family Getaways, News & Updates, Recreation, Sierra Soul, Uncategorized. Bookmark the permalink.